Update your property the smart way with custom-manufactured metal roofing and trim packages from Revered Metal Roofing systems. Metal roofs installed by Revered Metal Roofing are built to last, conserve energy, and safeguard the environment. Even more, they come in a variety of colors to complement your home. 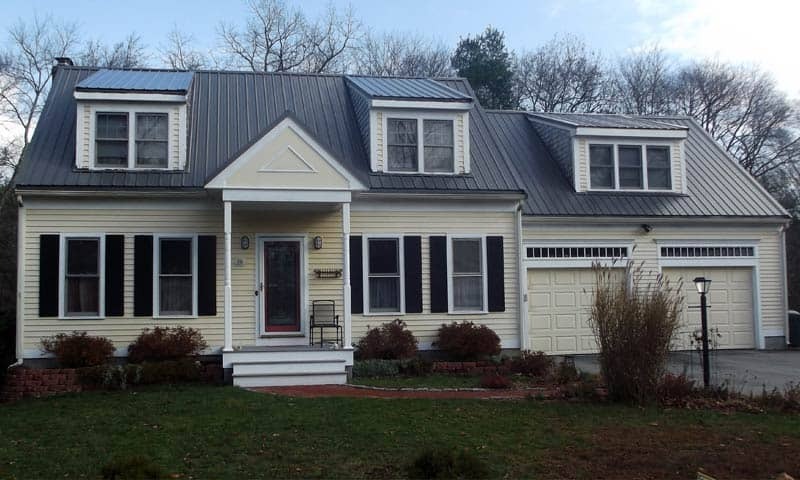 Metal roofing in Massachusetts is a popular choice for homeowners. It provides a number of benefits and advantages over asphalt shingle roofs. 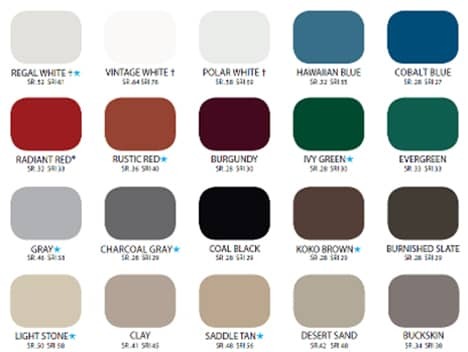 Beautify your home with an array of colors while protecting it against New England's harsh climates and conditions with a lifetime roofing system. Be good to the environment while saving on your electric bill with our metal roofing. Not only do metal roofs last longer, they save resources and energy, both in their production and use. Metal roofs are partially made from recycled materials and can even be recycled themselves at the end of their lives. Metal roofing also provides excellent insulation properties to keep heated and cooled air inside the house. 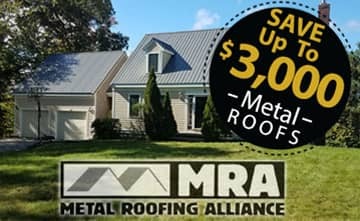 A metal roof is lightweight compared to asphalt shingles, and can usually be installed right over the old shingles, saving the expense of removing the existing roof. Money saved in annual energy costs and in future roof replacement makes these roofs the most economical choice. While shingled roofs must be replaced every 12 to 20 years, metal roofs commonly last up to 50 years. Metal roofing also makes the choice of solar panels more cost efficient. 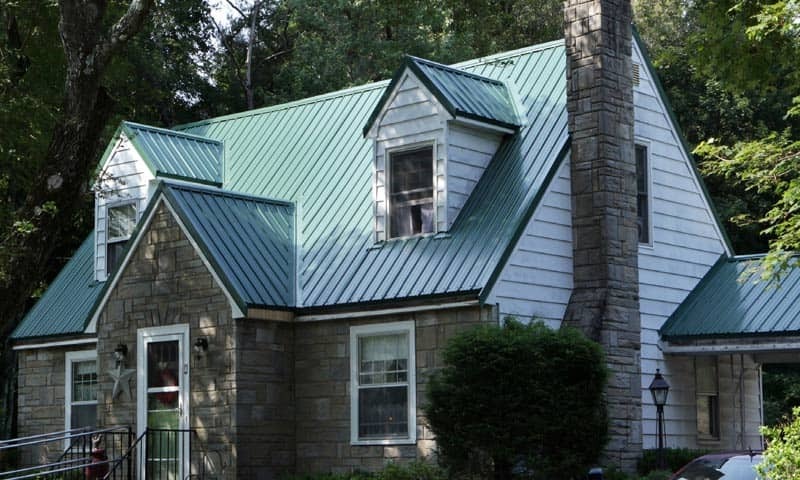 When you purchase a metal roof, you purchase a product with a long life expectancy. Equally important, maintenance required for this roofing is minor and costs very little. Due to their long lives and durability, metal roofs continue to gain popularity among consumers. When considering a metal roof, let Revered Metal Roofing help you evaluate the different options and find one that best complements your property, as this roof will be with you for decades to come. 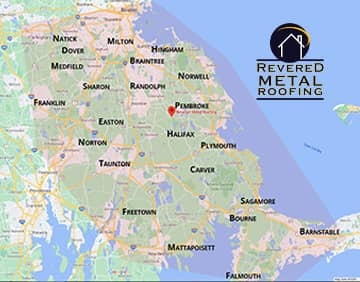 Revered Metal Roofing offers Free Estimates! Carver, East Bridgewater, Halifax, Hanover, Hanson, Kingston, Marshfield, Middleboro, Milton, Norton, Pembroke, Plymouth, Randolph, Rockland, Taunton, MA and Surrounding areas.